The 38-year old free agent is set to continue playing football. 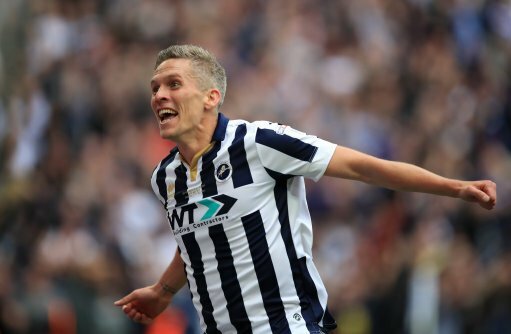 Millwall are open to giving him a contract to return to action at where he began his English football career. When Harris was asked about the deal, he said Tim wanted to return to England to play and get an opportunity to feature in the forthcoming World Cup. Harris confirmed that he has had “discussions” with the former Everton man. He said the discussions were continuing, preferring not reveal specifics about the deal. It is believed that AitorKaranka has met Cahill and wants the player to join them. The Forest boss has even offered him a deal if he moves to City Ground soonest. Queens Park Rangers are also looking at offering the Socceroos player a short term deal. The player wants regular football but is also spoilt for choice. He has not played since leaving Melbourne City in December. He wants to quickly join a decent side and maintain match fitness ahead of Australia’s fixture against France in the opening fixture of the World Cup. He score two goals against Syria to keep Australia’s World Cup hopes last October but he needs to maintain top level form to convince new coach Bert van Marwijk. The nation’s record goalscorer wants to star in his last World Cup before he retires from international football. QPR and Forest are hoping to get his signature but Millwall remain favourites. Previous PostExeter Chiefs v Saracens – Aviva Premiership Rugby Final 2017-18Next PostThe Greatest haka EVER?